Relaxed, calm and confident. 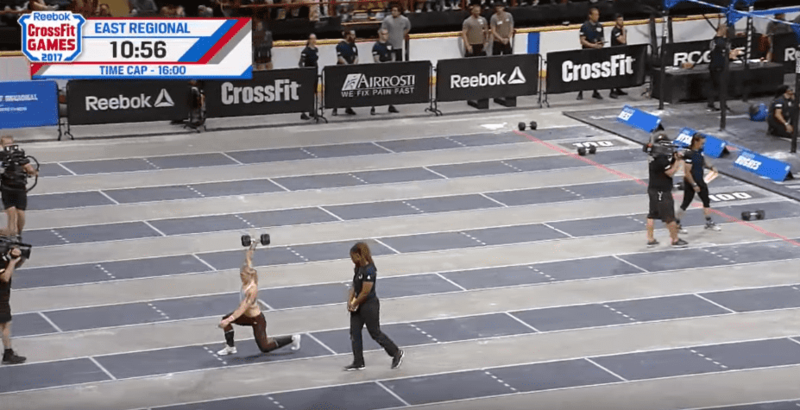 This motivated Crossfitter put in an unstoppable effort to take the win. Reigning champion Katrin Davidsdottir takes first place in Event 3 at the East Regionals! Looking confident and relaxed, Davidsdottir set a fine pace that the other athletes were unable to match and she finished well ahead of the competition. Check out the video below for the full event. she was smooth and calm on the rope climbs, clamping with her legs first to control the rope before she got high enough to lock in her feet. On the overhead lunges, she was one of the few athletes to switch hands midway through the second phase. Katrin on the home straight! Way ahead of the competition. 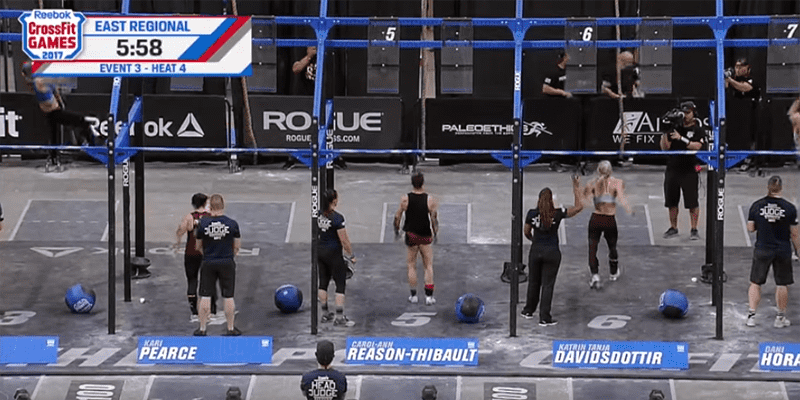 2 More Canadian Athletes Withdraw from Regionals Competition!